Courtesy of Pádraig Mallon of Infinity Channel Swimming and Piloting Services. Pádraig Mallon of the Infinity Channel Swimming and Piloting Services will announce the winner of a full weekend pass for HITtheWALL 2018. 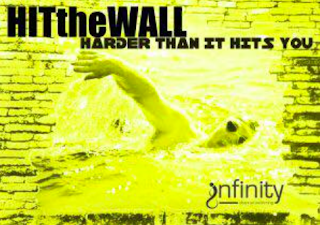 "It is up for grabs...you can win it by telling Infinity Channel Swimming how HITtheWALL 2018 will benefit you." The drawing takes place on December 1st. HITtheWALL is a four-day training weekend for those of all abilities from the open water beginners to experienced channel and marathon swimmers. "You can take what you want from HITtheWALL. As a beginner, you will gain confidence in a safe controlled environment. 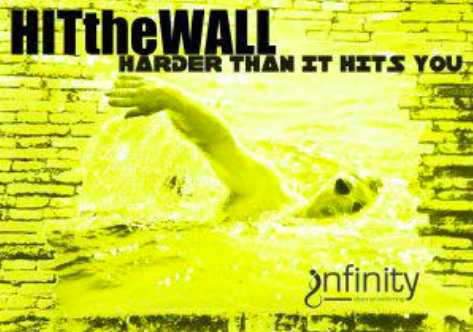 As a more advanced swimmer, HITtheWALL will push you physically and mentally. Open water swimming is not only about physical ability, that’s why at the HITtheWALL weekend we also look in more detail at the participant's mental ability. The HITtheWALL experienced crew will pull you through the darkest moments of these amazing adventures in the water." Samantha Whelpton of South Africa won the prize.